If you’re like most estate planning attorneys, you’re caught up in the daily details of your practice, working what feels like 24 hours a day, 7 days a week. You haven’t devoted much attention or thought to how you will ever “retire” - - and get paid fairly for all of the blood, sweat and tears you’ve poured into your practice. The fact is, one way or another, every estate planning attorney eventually exits the business. So, why wind up doing it the hard way (at the mercy of whatever happens), when you can intelligently and deliberately plan an exit strategy that actually works? Or, perhaps you’re spinning your wheels using the standard methods of building your practice and acquiring new clients, such as advertising, direct mail, seminars, referrals, website, social media, etc. Like most estate planning attorneys, you probably don’t know much about the #1, single most effective way to quickly quantum leap the size of your client base and your revenue - - buying a practice! Whether you’re thinking about retiring or you’re looking for a way to expand your practice, the purchase and sale of an estate planning practice is both an exit strategy and marketing tool. When done correctly, it can truly be a win-win for everyone involved, but the important part is knowing all of the steps needed to do this successfully. When not done properly, you can waste a lot of time and money, and the end results can be disastrous! The good news is that nationally renowned estate planning attorney, Phil Kavesh, knows how to do this right. 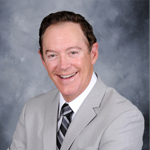 He has purchased three very different estate planning law practices, almost immediately adding thousands of new clients to his law firm, while enjoying a significant return on his investment - - a return that continues to come in to this day, several years later! He has also sold a professional practice, so he knows what it’s like to be on the other side of the transaction too. And now Phil will show you how this whole process is actually done successfully - - from both the buyer’s and seller’s perspective. 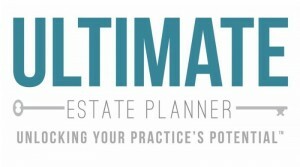 Please join us on Wednesday, May 22, 2019 at 9am Pacific Time (12pm Eastern Time) for a special information-packed presentation REPLAY where he will share with you, in detail, how to go about successfully acquiring or selling an estate planning practice. The key, overlooked steps you must take to properly position your practice as a buyer, even before you start looking for one to purchase! How to find the practice that’s the right fit for you (you’ll be surprised that the way most go about seeking a seller is WRONG!). The remaining key criteria for evaluating potential sellers and their practices (including Phil’s step-by-step, invaluable, six-page checklist!). Creative ways to finance the purchase of an estate planning practice, so that you have little or no “down” money out of your pocket! At least four different ways to structure the purchase transaction, depending on the circumstances of both the buyer and seller. The most effective way for the seller to participate in the process, immediately after the sale closes (so that you pay off the seller in less than a year!). The marketing “system” that will help quickly transition the seller’s clients into your clients and turn them into immediate cash flow generators! The traps to avoid throughout the process, so you learn from the various trial and errors that Phil has already made, instead of learning the hard way on your own! The overlooked key steps you must take to properly position your practice as a seller, way before you start to list it for sale - - including what will not only make your practice more attractive to potential buyers, but will help you maximize the sale price! Why setting and asking for a fixed price when you first market your practice may be a big mistake! How to go about valuing your business - - the right way! How to best market your practice, discreetly and confidentially and avoid the typical approach most sellers use (which is the worst!). How to determine which potential buyer is the right fight for your practice (you just might be surprised to learn that the criteria most often used in selecting a buyer is WRONG!). At least four creative ways to structure the transaction and close the deal. What things need to happen immediately after the sale, so that you’re protected and actually get paid as soon as possible! Your best continuing role after selling your practice (it’s probably not what you think it is or should be!). The traps to avoid throughout the process, so you can learn from Phil’s trials and errors, and not your own! Whether you’re an estate planning attorney that is looking to acquire or merge another law practice, or you’re looking to sell your practice and retire in the near future, you will walk away with a wealth of information from participating in this special presentation 90-minute entitled, “How to Successfully Acquire (or Sell) an Estate Planning Practice”. Your registration includes: Participation in the live teleconference replay, PDF handout materials and an MP3 audio recording. A PDF transcript can be added to your registration during the checkout process. If you are unable to attend or wish to download this program right away, you also have the option to do so by purchasing the On-Demand Program. The On-Demand Program includes downloadable PDF handout materials and the MP3 audio recording. Includes: Participation in the live teleconference replay (Q&A via e-mail), PDF handout materials and MP3 audio recording. Optional Add-Ons: A PDF transcript can be added onto your registration during the checkout process for an additional fee.